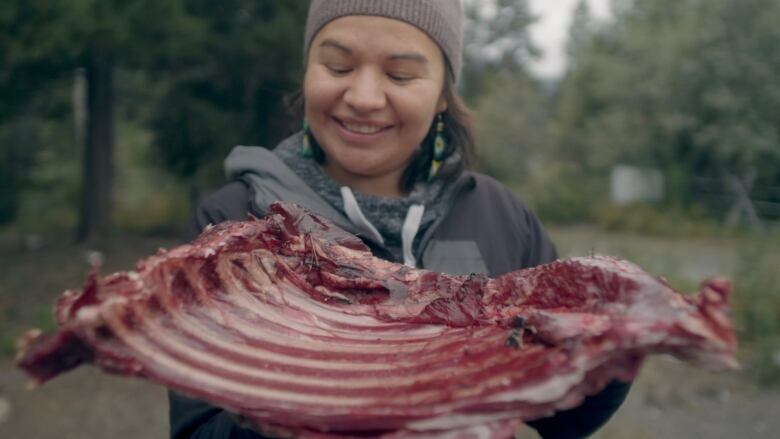 A travel web series that explores how Indigenous cuisine can be a path to reconciliation across Canada has its premiere tonight. Red Chef Revival features three chefs, each travelling to different Indigenous communities across the country, to learn about the culinary methods unique to each community’s traditions. 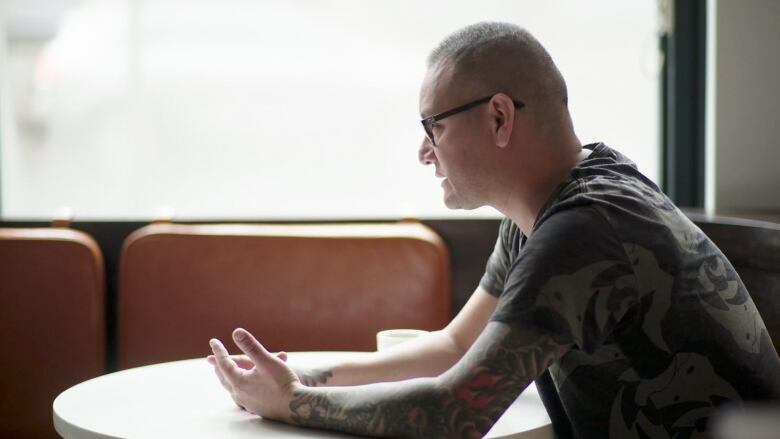 Filmmakers of the series say it’s styled after the programs hosted by the late Anthony Bourdain, mixed with samplings of Chef’s Table, a Netflix documentary style series, which profiles world renowned chefs and their unique culinary styles. “When sharing food you’re inviting people to sit down and have conversations where there’s no judgments,” Algonquin chef Cezin Nottaway told CBC. Nottaway joins Rich Francis and Shane Chartrand as co-hosts of the series. Each will be featured in two episodes as they travel to Indigenous communities across Canada to experience traditional cuisine. Beaver tail, seal and cougar are just some of the ingredients to be sampled as the chefs explore and share their own discoveries and traditional stories with viewers. Nottaway grew up cooking in the bush of Parc de la Verendrye, Que., snaring rabbits, hunting moose and fishing with her family until she was about 13 years old. She says she was lucky to grow up with traditional knowledge and knowledge of the land she came from, which helped her gain perspective as to who she was as an Anishinaabe person. After seeing Nottaway being featured in the New York Times for her culinary prowess, flimmaker Ryan Mah reached out to her to pitch the idea for Red Chef Revival and ask whether she was interested in joining the team. She agreed and says that filming the series was a life-changing experience because it came at a point in her career where she was questioning whether she wanted to remain in the culinary world. The pressure of running her business, Wawatay Catering, was weighing on her both physically and mentally, but travelling to the west side of the country gave Nottaway time to reflect on her choices. She soon realized she was right on track. “I’ve experienced some situations where people were offended about me eating like a beaver, and I’m like, ‘Dude, my ancestors lived off this,'” Nottaway said. The idea for Red Chef Revival came while filmmakers Ryan Mah and Dan Berish were filming a segment for Indigenous tourism with chef Rich Francis. Francis was telling them about his passion to rediscover Indigenous cuisine, and that idea became the impetus for the series. 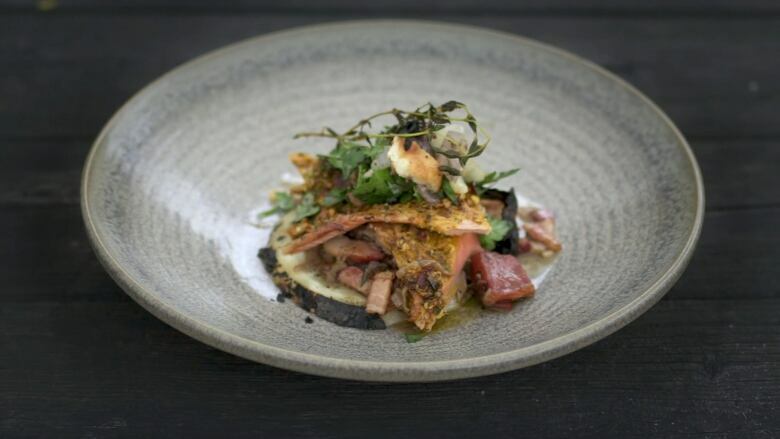 “There’s not a whole lot online about what defines what Indigenous cuisine. I think that’s why we fell in love with Rich’s story,” Mah said. The focus on farm-to-table cuisine is trending in the food scene, Berish said, but he recognizes the roots of that go back to older traditions. Red Chef Revival, created in partnership with Telus STORYHIVE, will be available on the STORYHIVE YouTube page after the premiere, with a new episode being posted each week.